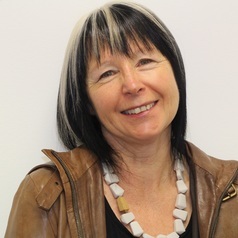 Glenda began lecturing in Sociology at Swinburne in 2004, after a number of years teaching at La Trobe University, the University of Melbourne and RMIT. In an earlier life she worked as a publisher and editor. She has been active in the women's movement and local initiatives to foster intercultural dialogue and active citizenship, social engagements she maintained at Swinburne through her involvement in the Swinburne Diversity Film Festival . Glenda's BA (Melb) was in History and Politics, but she eventually saw the light and moved to La Trobe to undertake postgraduate studies with the internationally renowned social theorist, Professor Johann Arnason. Her MA prelim thesis examined new social movements, and her PhD explored the emerging paradigm of 'multiple modernities,' and brought together the work of the French social theorist Alain Touraine and philosopher Paul Ricoeur in an analysis of agency, subjectivity, modernity and hermeneutics. She is currently supervising doctorates in the areas of sociology of food, Indigenous traditions, second generation migrants in Australia, superheroes, art and imagination. Glenda's teaching philosophy begins from the premise that it is necessary to connect with students 'where they are at' in order to expand their horizons. She strives to foster capacities for critical reflection and independent learning by combining effective communication with a strong commitment to pastoral care based on respect for individual differences and needs. Her commitment to her students was recognised in 2005 in a Swinburne University Vice-Chancellor's Award for Excellence in Teaching, and in 2006 and in 2012 by a Carrick Institute Citations for Outstanding Contributions to Student Learning. Glenda is currently involved in three research projects. New Media, Ageing and Migration, with Dr Liam Burke, is examining new media usage by older Irish migrants in Australia. Tradition and Transformation is exploring the intergenerational transmission and transformation of tradition among Turkish Alevis in Australia. Her work on Multiculturalism and Interculturalism is a comparative study of the principles and practices of Interculturalism in the EU, The USA and Australia.